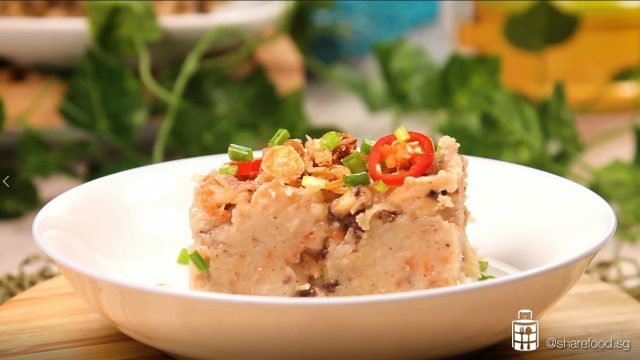 Do you know that the traditional carrot cake originated from a Chinese Teochew dish called Char Kueh (fried rice cake) and was later brought over to Singapore by early Teochew immigrants in the 1950s? I'm sure all of us are familiar with the local carrot cake, or Chye Tow Kway. This familiar hawker dish is so sinfully delicious but also very high in calories hence it's not recommended that you eat it every day. Fret not! 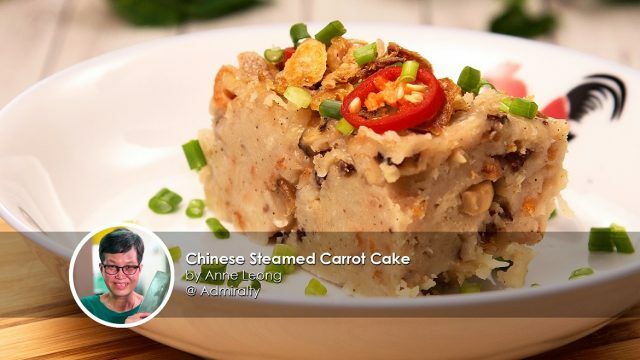 Our home chef, Anne Leong, has shared with us her very own Chinese Steamed Carrot Cake recipe to satisfy your cravings and it's one of the best we've ever tasted! 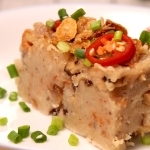 Each bite of the soft and springy kueh is packed full of umami flavour, which comes from the morsels of dried shrimp, mushroom, and Chinese sausage. The additional garnishes of fried shallots and fresh chillis atop the kueh are a must-have as well, not only increasing the aesthetic appeal of the unassuming kueh but also enhancing the overall taste too - take a bite and you would be hooked! What are you waiting for? 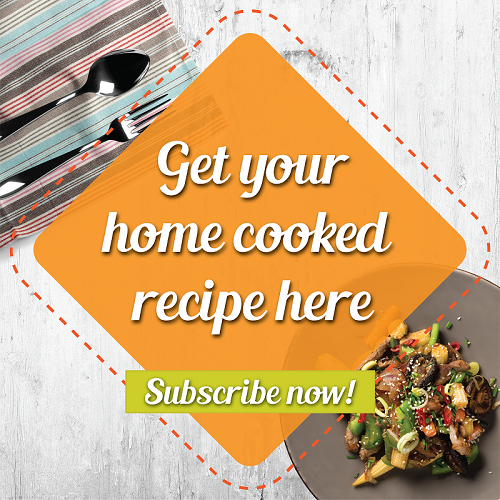 Here's the Chinese Steamed Carrot Cake recipe right below! Soaked Mushroom – Squeeze out the water, diced. Set aside water for cooking later. Soaked Dried shrimps – Remove from water, chopped finely. Set aside water for cooking later. Steamed Liver Sausage – Steamed and diced. Set aside the juice on the steaming plate. Radish – Shred the radish. Set aside. Batter – Add all the ingredients into the big container, attached whisk. Blend the ingredients. Place the radish into a pan with simmering water. Boil for 5 mins. Drain and remove from pan, let cool. Place the Radish in the cheese cloth and squeeze out the excess water. In a heated wok with 1 tbsp oil, fry dried shrimps till fragrant. Set aside. In the same wok, add 2 tbsp oil, stir-fry minced garlic and shallots. Add in diced Chinese sausages, fry for a minute to release the flavors, then add in mushroom and dried shrimps. 2 minutes later, add in dried radish and fry till all the ingredients are well combined. Pour in the juice/water from the Chinese sausage, dried shrimps and mushroom. Allow it to simmer till the radish is cooked. Add in some water if it’s too dry. Add in salt and sugar to taste. Reduce the flame, sieve in the batter slowly. Stir to mix well, until it thickens. Pour into a greased tray. 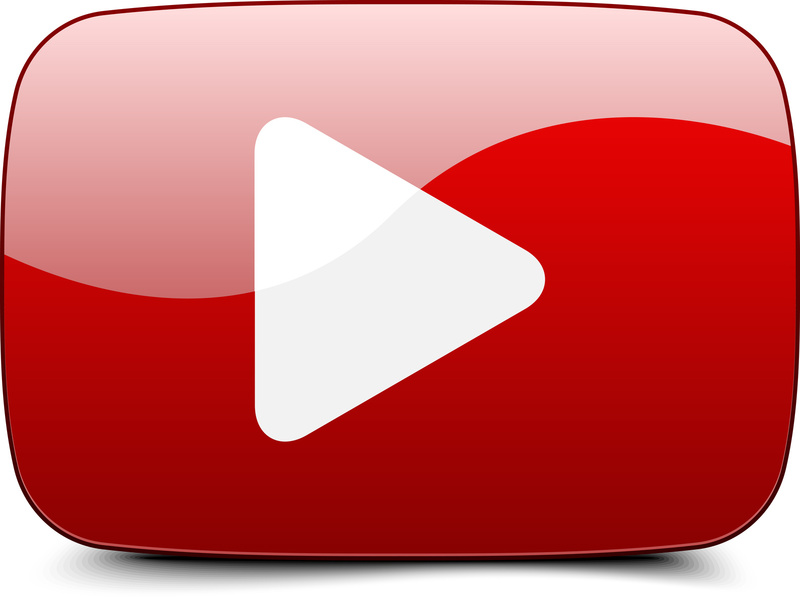 Wrap the cover with a towel. Steam the carrot cake for 20 mins or until it is firm. Remove from flame and let cool. Recipe adapted from Anne Leong @ AdmiraltyThinking of what’s cooking next door?